Woman have driven the economic growth to a greater extent during the past few decades. Their individuality and skills have increased incredibly and are likely to increase more. A lot of industries like financial services, telecommunication, information technology are been benefited due to the active participation of female in employment. Women are considered to be well socialized, optimistic, artistic and also with good management and multitasking skills. This is the reason that most of the companies prefer women to be their human resources managers. The era of intense competition for talent and skill, had made companies to think that they need people who are much creative and innovatory. The company’s workforce also understood that they not only need diversified technologies but also diversified people in their organization. People have recognized the skills which possess in women and have become so skeptical that they desire certain ratio of employees in the company should be women. For example, an airlines company chooses only female employees in their recruitment process as they have noticed that they weigh 20kgs less than the men on an average. Due to this difference they have analyzed that recruiting women could help in saving the fuel costs which amounts to millions of rupees. This is one advantage that a company has found to reduce the costs. There are concrete benefits obtained while targeting the talent of women. Thus, the companies have opened doors to hire them and gain profits in their business by making use of the skills of women. Accomplishing this recruitment process needs few best practices being followed in the hiring procedure. Commercials are a great way of spreading the brand name of the company. A few minutes of commercial would help to convey a lot of information about the company to the public. It is a most effective way which helps the information reach a large number of people without much trouble. Even people present in the rural areas can view the information advertised using commercials. Thus, advertising with the help of commercials will fulfill the target of reaching huge number of people. A good commercial with alluring quotes and pictures of the company help in reaching hearts of many women. Including small clippings which are related to women equality and mentioning the importance given to women in the organization would help the audience understand the work culture in the company. The clippings made by the current employees would show much positive impact as the video turns out to be more realistic and reliable. To make the video reach the next level, a real life example can be included which might even go viral in a few days. Focus on the transition which has been taken place in the life of a woman after stepping into the organization. Expose the benefits and the recognition which has been obtained to a woman, due to the decision of joining the company. Everyone is aware that security of women is at breach. There were many initiatives taken in order to protect women and their security. It is also required to understand that none of those initiatives are working effectively now. It is responsibility of the company to make sure that the security of women is sustainable. Whenever a company provides this additional benefit called sustainable security to the female employees, it brings the company to limelight and helps the company stay a step ahead from the others. Conducting campaigns with the support of powerful women known to the public helps to advertise the brand name of the company even better. Whenever, these campaigns are conducted with proper reputation and fame, people get to know that the company is quite concerned about the security of female employees. Women are most likely to take more number of leaves compared to men. Company has to operate in a way which helps employees to build trust upon the company. Different policies like work from home, maternity policy which are supportive to women should be strictly implemented. Whenever the policies of companies are implemented perfectly then the probability of getting more applicants is high. There are already a set of leave policies which were designed specifically for women. Due to the busy and overloaded workflow in the companies, people deny to offer leaves to the female employees. It is required to understand that whatever the work is and how important the work is, the leave policies should be implemented as they are written in black and white. The employee has all the rights to take the number of leaves mentioned in the leave policy and is not responsible to take the stress due to few flaws in implementation of the policies available. The company needs to understand the requirements and exhibit the policy rigorously so that the women won’t be affected due to the practice of leave policy in the company. It is vital to form a separate department to undertake the provocations on women. Although, the human resources manager is responsible for taking care of the activities which causes discomfort to women, it is also important that there is a team which is working concurrently and confined to protect the security of women. It is required to make sure that the department formed is a group of powerful women who are meant to be an ideal example for other women employees. Motivational, inspirational sessions has to be provided for the uplift of women in the company. This team should be able to inspire and motivate the women employees present in the company. Women fear to enter few industries due to discrimination between males and females. The company has to remove that border which is drawn between males and females. Though there are no policies which tells to discriminate people based on gender, the rules and policies are just confined to paper and are not kept into action. Formulate new policies to be implemented in the company which makes the gender equality rights a reality. There are few people who oppose the idea of women being in authoritative positions. They do not tolerate any sort of female dominance in the industry and consider it as a threat to the males in the industry. Although, women being with good potential and abilities are not been able to reach out to the higher levels due to the discrimination in few places. Without any discrimination in gender, the companies have to employ women in higher authoritative positions when capable. Companies have to open doors to all sorts of opportunities to women so that women do not hesitate to step into the industry leaving behind the thought of discrimination. The foremost question that anyone asks before stepping into the company is about the work timings. Bitter timings of the company is the main reason which stops female employees from getting into a company. The working hours should be comfortable enough for the female employees to work in the company. It would be favorable if the odd work timings are avoided in case of female employees. There might be few instances that the company might not be able to provide the required timings to the female employees. Whenever, the company is providing unfavorable timings to female employees, it is the company’s responsibility to take of the employee’s safety. Strict policies should be implemented when a female employee is staying late hours. Implement, as stringent rules as possible in order to protect safety of a female employee. Transport facility should be requisite whenever a female employee is working late hours. It would be much effective if female drivers are recruited to help increase the reliability of women upon the company and staff. There are numerous women’s groups all over and get gathered at a common platform called social media. It is required to conduct research to gain information about various female associations available. There are innumerable female associations available for distinct industries. Reach out to the leaders of these groups, in order to hire talented and skilled female employees. The company can focus on the subscriptions for job openings to which women generally apply. There are also few job portals which are specifically meant for women. Companies can even recruit new employees just to get information about female associations and groups available. Targeting the places which are frequently visited by women helps in the recruiting process. There are many places which are just meant for meetings of professional women. Do not overlook any place which is within reach of women. The companies need to go in search of talent women to distinct places like women colleges, women study centers. Study centers are considered as the best place where more number of people get gathered at a single place. Targeting students is the best way to get more number of employees. The companies can reach out to the desired career background which they expect from an employee. It is important to understand that the rural areas should also be reached. 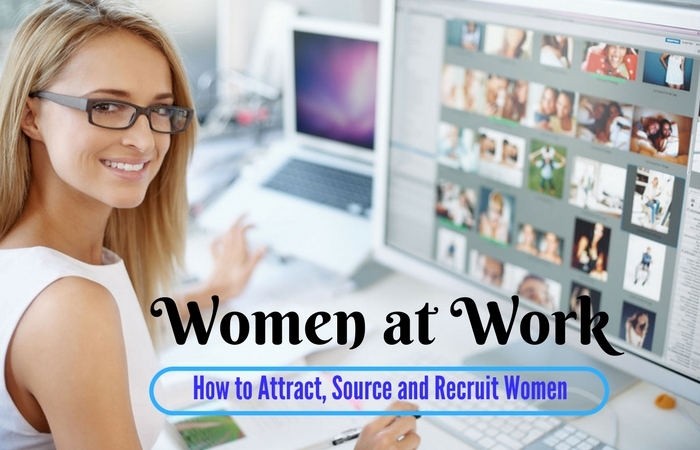 There are talented women all over, it is the patience and efforts of the company that will result in finding the suitable and talented women employees. In order to get skilled women employees, the company needs to target only women and conduct competitions which are only meant for women. By targeting only women, it doesn’t mean the company is losing male employees but just indicates that, the company is recruiting more number of skilled female employees for the benefit of the company. By starting such initiative, the company starts to get a lot of exposure from the public and the goodwill of the company increases to a greater extent. Women will start feeling secured about the company and will strive to work for the company. It is mandatory for a company to take sexual harassment seriously. Issues might seem petty to the company and the other male employees, but it is not a petty issue to the female employee. The female employee has laid trust upon the company and has made a decision to step into the company. It is the responsibility of the company to ensure that there is no discomfort and troubles faced by any employee. Harassment should be of zero tolerance and the person who is responsible for the discomfort should be strictly punished. Quick measures have to be taken so that the same would not be repeated next time. The company might have succeeded in hiring, number of female employees with their creative recruitment procedures. There is a chance that all the efforts, struggle and hard work would go in vain if there are no procedures to retain the hired employees. The efforts placed in accomplishing the hiring process should also be placed in retaining the company’s employees. The managers have to make sure that the female employees are not facing any troubles in the company. Regular sessions and meetings should be conducted to male employees in order to explain the severity in cases of harassment. Female Employees should be frequently motivated and informed about how to be strong and how to tackle different problems faced by them. It is vital, that the managers should be able to reach out to the employees whenever they are in need and solve the problem as soon as possible. The policies of the company have to be strict enough to prevent from faults happening in the company. It should not only be strict when written in black and white, they also need to be strict in implementing and making the employees understand the importance of implementing. Preventing the fault from happening is much easier than regretting and convincing the employees later.